In the world of music licensing, a lot of music supervisors are looking for the “up and coming” artists or the next big thing. And in many cases music supervisors are like the new A&R people traditionally at record labels. They can discover and make a relatively unknown artist famous overnight by using their song at the end of a popular TV show. There is also a huge market for using super popular songs in TV shows and movies because the audience is instantly familiar with those songs and they lend authenticity to a scene. But what about those of us who don’t have a buzz around our music or aren’t the next big thing coming out of SXSW? Well, there are some distinct advantages to being a smaller, independent musician in the world of music licensing. First, you are cheap. A music supervisor will be able to use your song for a fraction of the cost of securing the rights to a well known hit song by a famous artist. Quite often, television music budgets are limited and the final decision to use a song will come down to budgetary considerations rather than creative. Second, you are fast. 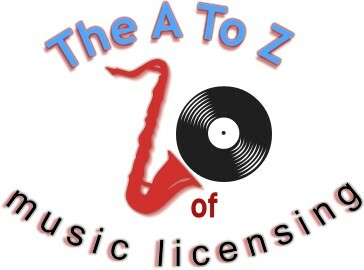 Most television producers don’t have the resources to find out who owns the rights to the myriad compositions they want to license for their shows, so they quite often use outside music clearinghouses or have internal music clearinghouse staffs whose job it is to “clear” the music and negotiate the licenses and terms. This can be time consuming and expensive. With you it is one stop shopping. That’s why it is important to be able to respond quickly to questions, agree to a deal, get the paperwork signed and have instant access to your songs on your website. That is also why it is so important to have good working relationships with the people you contact.